Protect your pump from damage due to low water levels with the Little Giant Heavy-Duty Pump Cut-Off Switch. This professional series switch will automatically shut your heavy-duty pump off before expensive damage or complete burn up. This switch is equipped with a piggyback plug/receptacle for conveniently connecting your submersible pump's electrical cord. Simply plug your pump's grounded cord into the receptacle in the back of the switch plug. 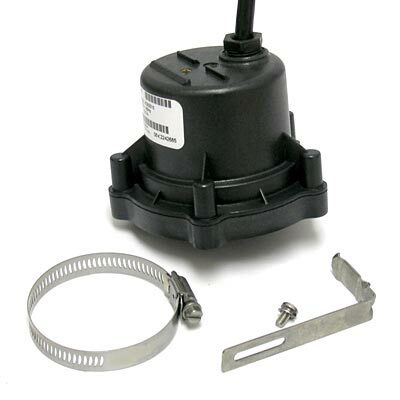 Once installed, the Little Giant Heavy-Duty Pump Cut-Off Switch will cut power to your submersible pump when the water level in your skimmer drops due to low water levels or dirty, clogged filter media. When the water level returns to normal levels, the switch will automatically restore power to the pump. Under normal water level conditions (approximately 10" above the switch), pressure from the water activates the switch, which then offers power to the pump. This unit is designed for pumps up to 13 running amps. Use this switch to protect your pump investment. One year limited warranty.